The assessment tool is designed to help users undertake a 360-degree assessment of the FSM ecosystem and identify gaps across financial, infrastructure, institutional and regulatory aspects of FSM in a given region. 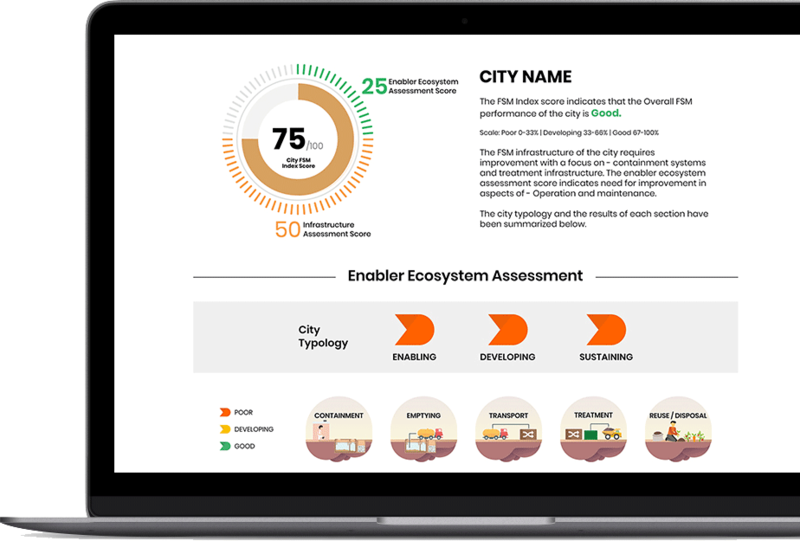 The assessment tool will help users generate a FSM ecosystem index score and a summary report. 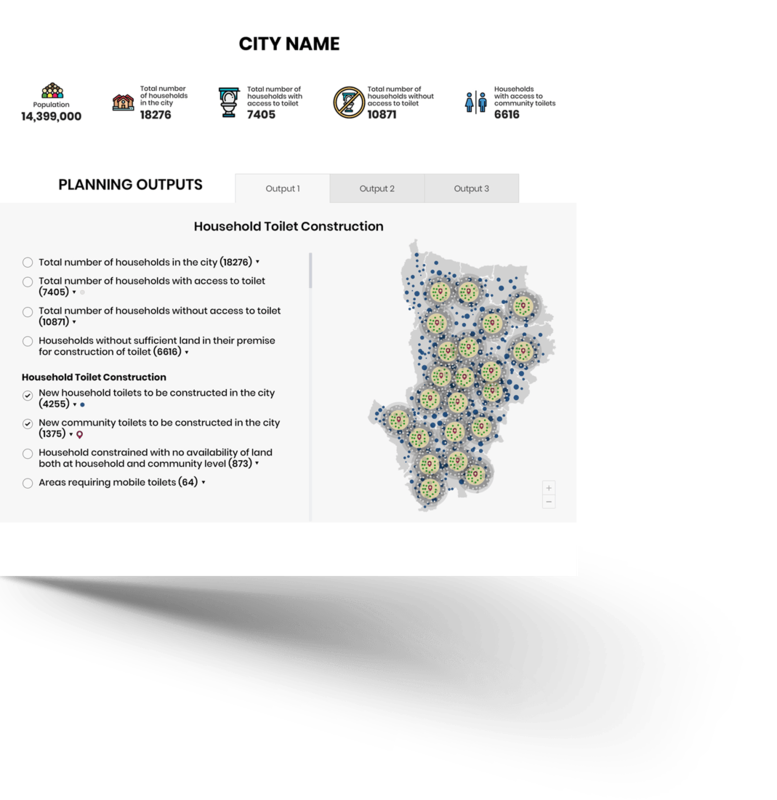 The planning toolkit is designed to assist users with aspects of stakeholder engagement, infrastructure improvement planning and business model selection. Find relevant ToRs, case studies, manuals, policy documents, reports, videos and more on FSM practices from around the world in our simple and easy to use online library. 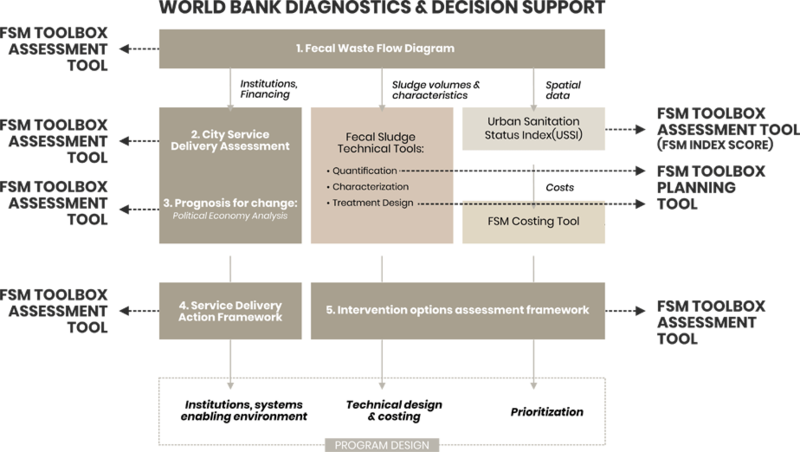 FSM Toolbox can aid decision makers in adopting global approaches on sector assessment and planning. 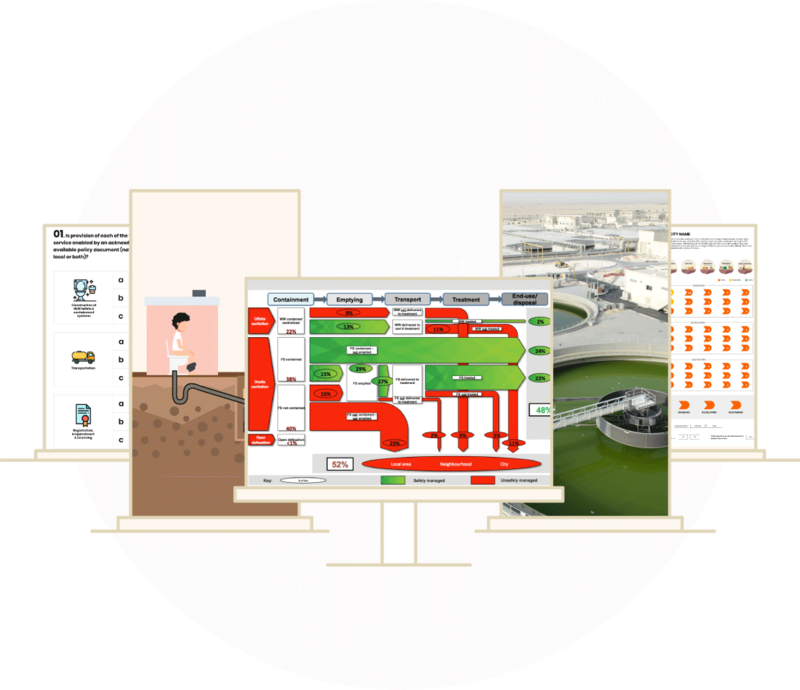 Click to view our inventory of FSM resources including reports, case studies, manuals, ToRs and much more. Click to view the FSM Toolbox in action.